Belgium winger Eden Hazard has praised Roberto Martinez ahead of his countries semi-final against France on Tuesday evening. 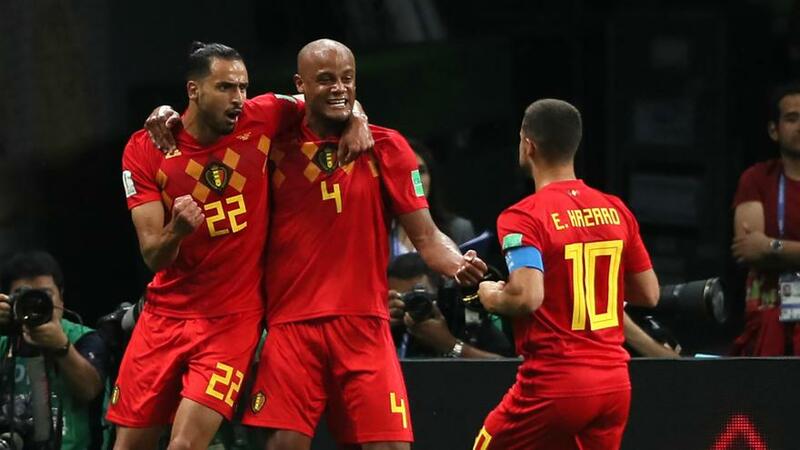 Hazard has heaped praise on the Spaniard and hailed the former Everton boss for his tactical plan that saw the Red Devils edge out the five-time World Champions Brazil 2-1 in the quarter-finals in an exclusive interview with beIN SPORTS. Noted Hazard, after Belgium’s sensational last-gasp 3-2 round of sixteen win against Japan. Whilst Hazard also added that the plan was quickly made for Brazil in the first training session after the game against the Samurai Blue. Hazard did admit that he was initially unsure of the tactical tweek from Martinez, but eventually realised that the plan would be able to trouble the Selecao. Reflecting on the game in Kazan, Hazard added that this may well have been the best game that he has ever played during his career. Looking forward to the Wednesday evening clash in Saint Petersburg, the 27-year old suggested that despite playing well against Brazil, that the challenge posed by France will be a completely different challenge for the Red Devils. Hazard is also set to renew rivalries with Chelsea team-mates N'Golo Kanté & Olivier Giroud but the Belgian winger suggested that despite having quality all over the pitch, that his country are ready to fight for their place in a first ever World Cup Final. Can Belgium follow up their quarter-final win over Brazil by dumping out the 1998 World Cup winners and book their place in the final? You can watch France Vs Belgium Live & Exclusive via beIN SPORTS CONNECT.